The purpose of the SAWMA WILDLIFE EXCELLENCE AWARD is to recognise individual members of SAWMA within southern Africa1 who have made a significant contribution to wildlife management over a lifetime within the region. Contributions to wildlife management in southern Africa include contributions through: advocacy, teaching, research, applied wildlife management, or a combination of these fields. The prestigious SAWMA AWARD may or may not be awarded in any particular year (depending on the quality of the nominations). One or more awards may be made per year. Wildlife practitioners and researchers, current or past members of SAWMA, and who are deemed by their peers within SAWMA to have made a significant life-time contribution to wildlife management and/or research within southern Africa , may be nominated for this award. While there is no minimum age requirement for nominees, the nature of this prestigious award lends itself to nominees who have had time to make significant contributions to the field of wildlife management in southern Africa. Nominations exclude serving council members. Nominations will only be accepted on the official SAWMA WILDLIFE EXCELLENCE AWARD nomination form (insert link). Nominations for the AWARD can only be made by SAWMA members in good standing2. Each nomination should include a comprehensive, motivation detailing the main contribution(s) that the nominee has made to wildlife management anywhere within southern Africa, as well as a current CV of the nominee. Each nomination should be supported by two additional SAWMA members in good standing (full names and signatures or e-signatures are needed on the nomination form). Support for a nominee indicates approval of the nominee, as well as approval of the detailed motivation highlighting the nominee’s contribution to wildlife management in southern Africa. A declaration in terms of association between nominee and the person/s nominating. A nomination not culminating in the award shall in no way prejudice the nominee in further nominations. No submissions will be accepted after the published closing date for any given year. The SAWMA council will review all nominations received by the specified closing date for the AWARD nominations, for validity. Invalid and/or incomplete nominations will be discarded. The SAWMA council will vote to determine the recipients of the AWARD for the given year. The SAWMA council’s decision will be final. The recipient/s of the AWARD will be made public two months before the annual SAWMA Symposium via SAWMA media channels. The AWARD itself will be presented at an official function during the SAWMA symposium dinner. The recipient(s) of the AWARD will be invited as a guest of honour at the symposium. The SAWMA council will report on the process during the AGM. 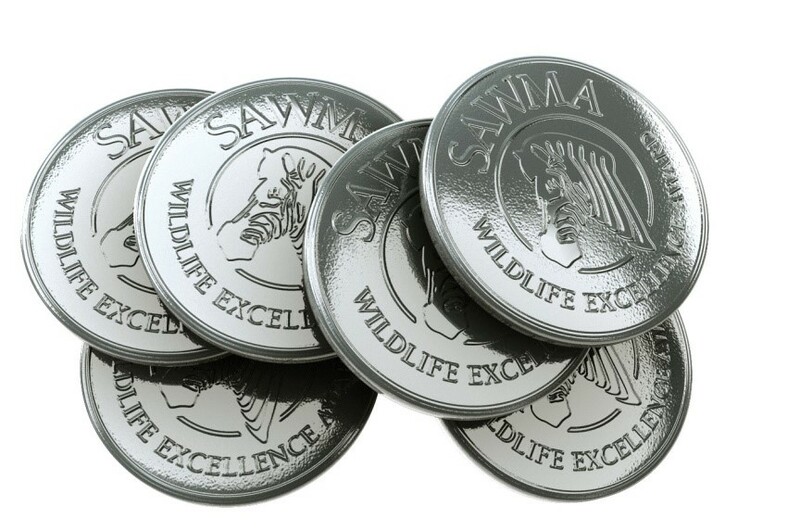 The SAWMA WILDLIFE EXCELLENCE AWARD consists of an engraved silver medal depicting the SAWMA logo. The recipient will also receive a framed certificate in recognition of her/his contribution to wildlife management in southern Africa.